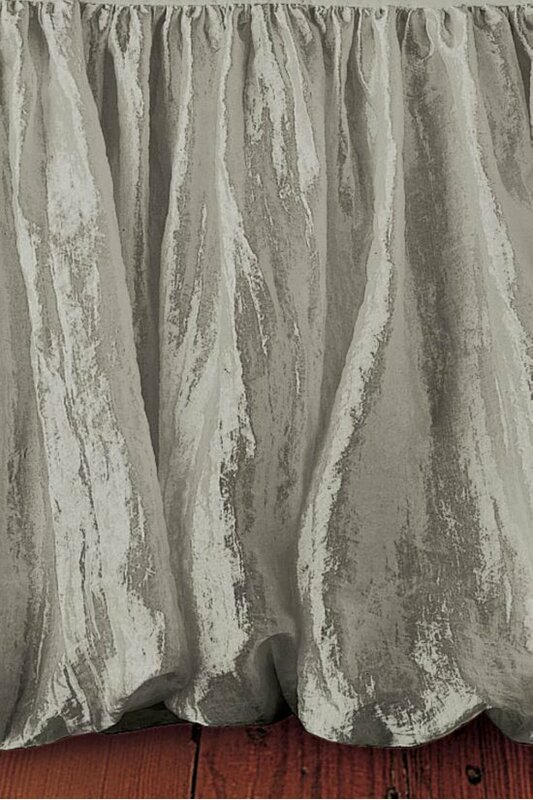 The silky, billowing fabric of this luxurious lined extra-long bedskirt suggests romantic nights in distant lands. The voluminous bedskirt comes in two drop lengths, 18" or an extra-long 21", to create a dramatic effect. Polyester with cotton blend deck and lining. Skirt length for all sizes: 21"